China is becoming a surveillance state. In recent years, the government has installed more than 20 million cameras across a country where a decade ago there weren't many. Today, in Chinese cities, cameras are everywhere: on highways, in public parks, on balconies, in elevators, in taxis, even in the stands at sporting events. 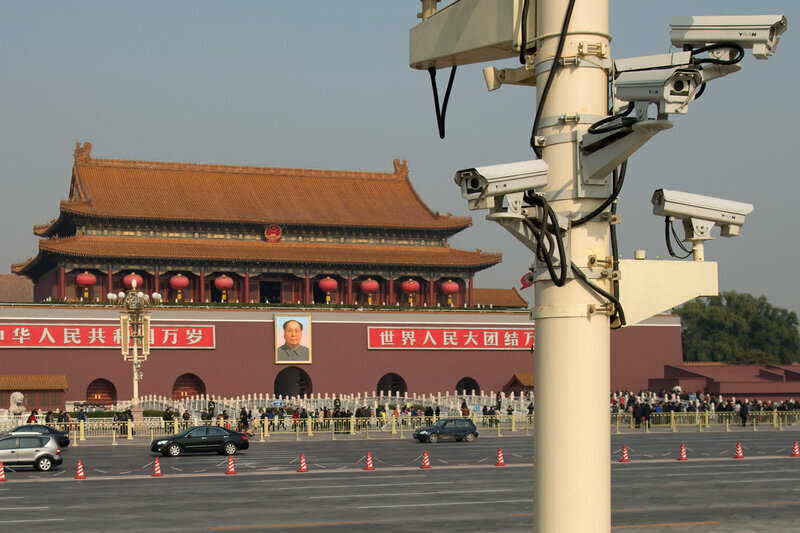 Officials say the cameras help combat crime and maintain "social stability" — a euphemism for shutting up critics. In fact, the government routinely uses cameras to monitor and intimidate dissidents. Human rights activists worry that more surveillance will erode the freedom of ordinary people and undermine what little ability they have to question their rulers. Li Tiantian knows firsthand how the state can use video images against people it doesn't like. Li, 46, is an outspoken human rights lawyer in Shanghai. Police watch Li so closely, it's best to visit her after dark and use a grove of trees behind her apartment building as cover. Once inside, she'll tell you to turn off your cellphone and put it in another room. "People with technological know-how all said the cops can use cellphones to monitor people, track your location, even use cellphones as a listening device," Li explains, as dumplings she has prepared bubble in a pot. "People have reached a consensus that when we chat together, we put cellphones away." Li criticizes China's government, talking freely with journalists and other people on China's increasingly freewheeling Internet. 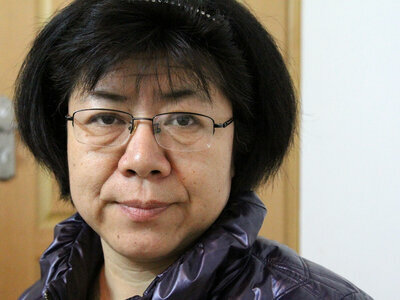 She says Shanghai authorities are trying to force her to leave the city and return to her home in far western China. "What they can do is to destroy my life," says Li, who wears her hair in a mop top and serves dinner while wearing a down coat to ward off the chill in her sparsely furnished apartment. "So, they asked my boyfriend to break up with me." He hasn't yet, but he's feeling the heat. The government has already stripped Li of her lawyer's license. When I asked to interview her boyfriend on tape, he refused, fearing he could lose his job, too, and the couple would become destitute. Li and her boyfriend argued, revealing the very real strains of a life under police surveillance and political pressure. Li says this is the true face of the Communist Party: a regime that will resort to any means to crush its critics. "Many people have been deceived by the government," she says. "They think this government is OK and it wouldn't do such dirty, disgusting and shameless things. I feel they are all like poisonous snakes. I fear them and hate them." In 2005, China began building a nationwide surveillance system. Officials dubbed it "Skynet," with no apparent sense of irony. "Skynet" is also the name of the computer system in the Terminator films that attacks mankind. The greatest fear is the state uses its surveillance and technology to curtail the modest freedoms that Chinese enjoy today. The government placed cameras along streets, on public buses and outside the homes of dissidents. After uprisings in the western regions of Xinjiang and Tibet, the authorities also installed cameras in mosques and temples. In recent years, the southwestern city of Chongqing set a goal to install a half-million cameras. Police there boasted that during Chinese New Year in 2010, their surveillance apparatus identified 4,000 undesirables who had entered town. According to SWeekly, a Chinese magazine, the police confronted most of them within six hours and forced them to leave. Human rights activists say the implications of so much surveillance in the hands of an authoritarian regime operating without the rule of law are scary. "The greatest fear is the state uses its surveillance and technology to curtail the modest freedoms that Chinese enjoy today," says Nicholas Bequelin, a Hong Kong-based researcher for Human Rights Watch. Bequelin says the Communist Party's ultimate goal is highly accurate, facial-recognition technology that would allow the government to visually track critics in real time. "That would be a game changer," he says, one that could "prevent the emergence of any challenge to the party in the short and long term." China already uses facial recognition in places like immigration checkpoints. Bo Zhang, who follows China's surveillance camera market for IMS Research, says facial recognition is much less effective on the street, where lighting varies. "Frankly, the technology is not as good as described in the movies," he says. "It's not that easy to find people in crowds." And, Zhang says, the government still has to knit together the country's disparate surveillance networks into one, all-seeing eye. As elsewhere, surveillance has many positive uses in China. Shanghai police say video cameras helped them catch more than 6,000 suspects in 2010, but they declined to discuss those successes with NPR. Last year, police in Chongqing used a series of cameras to identify a serial killer, analyze his habits, track his movements and ultimately kill him. The volume of surveillance cameras on a Chinese city street can be overwhelming at times. On a stretch of road half a block from NPR's Shanghai bureau, I counted 11 cameras within a 100-foot radius. Despite the density, many ordinary Chinese are unfazed. Liao Guosheng, who sells shoes and hats from a three-wheel bike, says the cameras deter shoplifters. "Before, when I parked my tricycle in neighborhoods, thieves always stole things," says Liao. "Now, they rarely steal. I feel a sense of safety." Other people, though, feel a sense of dread. Last year, Beijing's China University of Politics and Law installed cameras in classrooms. Officials said it was to prevent cheating, but professors didn't believe them. Liu Xin, who teaches administrative law, thinks the school plans to target teachers who might criticize China's current system in front of students. "Because things are recorded, once they suspect certain teachers are problematic ... they can find the recordings and that means they've found evidence," Liu says. She says cameras will intimidate instructors from speaking their minds and undermine learning. Liu thinks professors will just teach from textbooks to protect themselves. "I think teachers will lose interest and students will lose interest as well," she says. The Ministry of Education declined NPR's request for an interview and insisted that the cameras are just to deter cheating. Bo Zhang, the analyst, estimates there are now about 30 million cameras operating in China — or about one for every 43 citizens. He expects camera sales to grow 20 percent annually over the next five years.